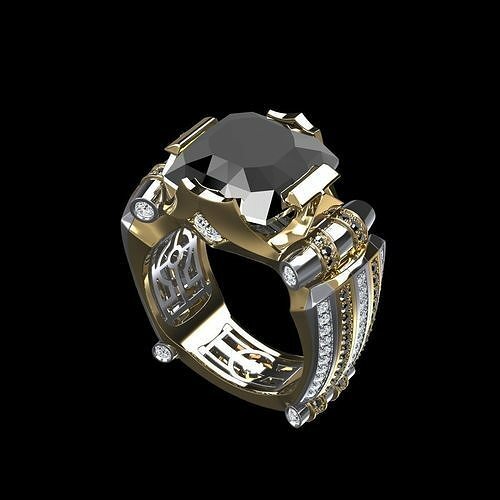 3D model of fashion ring. Ring size Ø 21.0 mm. weight 14 ct gold - 24.2 grams.